Blackburn vs Ipswich predictions ahead of this Championship clash on Saturday. Will the league’s bottom side claim a shock victory? Read on for our match preview and free betting tips. Blackburn Rovers went out of the FA Cup in midweek, but will they return to form here? They have a welcoming return to Championship action, as they meet bottom of the table Ipswich. The Tractor Boys come here with hope fading in their survival chances, but last weekend’s win did boost their morale. 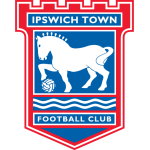 After edging out a 1-0 win over Rotherham can Ipswich get out on the road and move closer to safety? With fewer than 20 matches left to play, they can’t afford another false dawn. Blackburn put up a fight against Premier League opposition on Tuesday, but ultimately Newcastle had too much for Rovers. A 4-2 extra-time defeat would have been tough to take given how they played over the course of the two meetings, but Tony Mowbray’s side have plenty to build on. They’ve started to improve their form in the league, while a 2-2 draw with a top-flight side after 90 minutes isn’t anything they can be too angry at. Rovers are favourites as they plot a winning return to league action, but is there anything the visitors can do about it? The Tractor Boys ended a losing streak with a narrow victory. Will Keane scored the only goal as Ipswich edged out Rotherham 1-0, a result which moved them within seven points of the fourth-bottom Millers. There’s still a long way to go for the basement side to go before they can realistically claim survival, and a key part is their away form. Only Rotherham have a worse away record than Lambert’s side, which goes some way to explaining how Ipswich managed to finally win a game last weekend. The visitors have conceded in every away game so far, but they’ve failed to score in 69% of them. 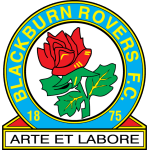 That poor run has left them in awful form on their travels, something which Blackburn should take advantage of.Lately the hosts have held Newcastle twice, won at Millwall and beaten promotion hopefuls West Brom at Ewood Park. Despite that, they’re decent value for the win here. Ipswich have lost five of their last six visits to this ground, conceding 10 times and scoring only three. They’ve lost 10 times on their travels this season and we see that rotten run continuing. Rovers are well priced for success here despite the gulf between them and the huge struggles Ipswich have had, so we suggest backing a home win as the visitors face yet another defeat at this ground. Blackburn haven’t won three consecutive Championship matches since March 2015 under Gary Bowyer. Ipswich manager Paul Lambert has never beaten Blackburn as a manager (D2 L2), with the most recent match against them a 0-0 draw in the Championship as Wolves boss in April 2017. Blackburn defender Charlie Mulgrew has scored in six Championship matches this season, but only ended on the winning side in one those games (P6 W1 D2 L3). Ipswich haven’t won consecutive league matches since March 2018, when they beat Preston and Sheffield Wednesday.